Time for some weekend news ICYMI - this on remarks from US Treasury Secretary Mnuchin. Speaking on the sidelines of the IMF conference on Saturday. The usual platitudes on the two sides 'making progress', hoped the two sides were 'close to the final round'. Mnuchin cited talks on whether to hold more 'in person' talks. yeah, that's encouraging LOL. And thus, "I would expect that the enforcement mechanism works in both directions, that we expect to honour our commitments, and if we don't, there should be certain repercussions, and the same way in the other direction". 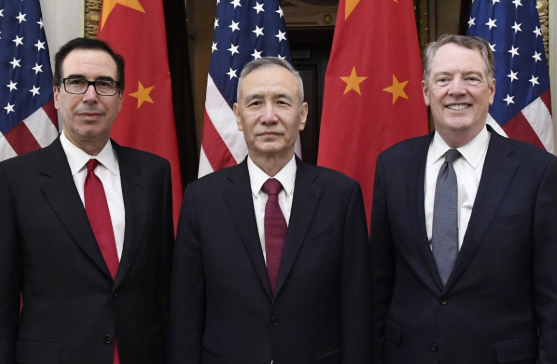 Mnuchin with Lie He and Lighthizer.